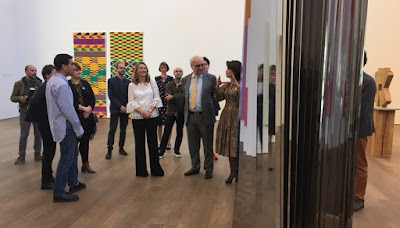 Last night, Hereditary Grand Duchess Stéphanie attended the opening of the exhibitions "Nested" with works by Luxembourgish artist Su-Mei Tse and "Flatland / Abstractions Narratives #2" with works from various artists at the MUDAM. 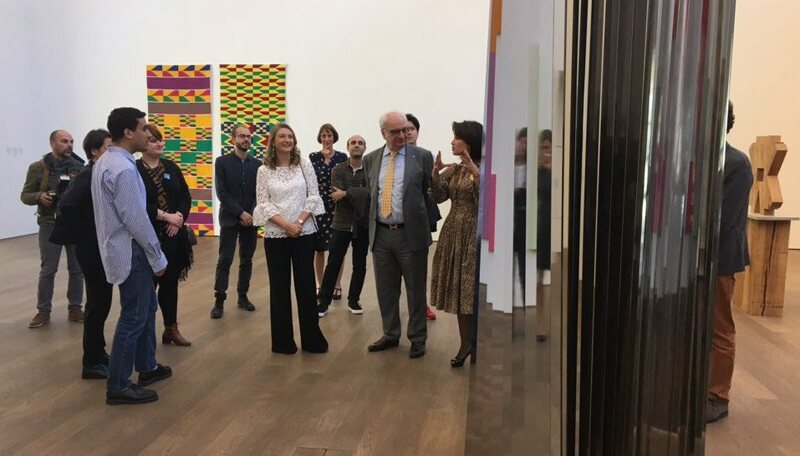 The Hereditary Grand Duchess, who is the President of the Board of the Fondation Musée d'Art Moderne Grand-Duc Jean (MUDAM), gave the opening remarks. Also in attendance for the event were Prime Minister Xavier Bettel and his husband Gauthier Destenay.